GOM Player 2 - download in one click. Virus free. Download the latest version of GOM Player 2 with just one click, without registration. It is a standalone setup package that contains the full offline installer for GOM Player 2. GOM Player is a free video player that supports all the popular video formats, including but not limited to AVI, MP4, MKV, FLV, WMV, MOV, OGG, ASX. It supports subtitles, provides tools to adjust their timing, size, and placement, working with SRT, SMI, RT, SUB, VTT, SBV, and VOBSUB file formats. The new version of the player also works with virtual reality videos. It plays 360 degrees videos: use your keyboard or mouse to look around the video, moving the point of view up and down, right and left. Also, it can search for 360 YouTube videos and play them on your computer. AS for additional or advanced features, GOM Player offers to capture the screen, A-B repeating, controlling playback speed, adding simple video effects. It also has a customizable interface: choose your own skin for the player to make your experience with the player as comfortable as you need. Finally, the new version can search for the needed codecs. In case you need to watch a video in a rare format that GOM does not support by default, the player will use Codec Finder. It will search for the missing codecs and direct you to the place where you can download them. 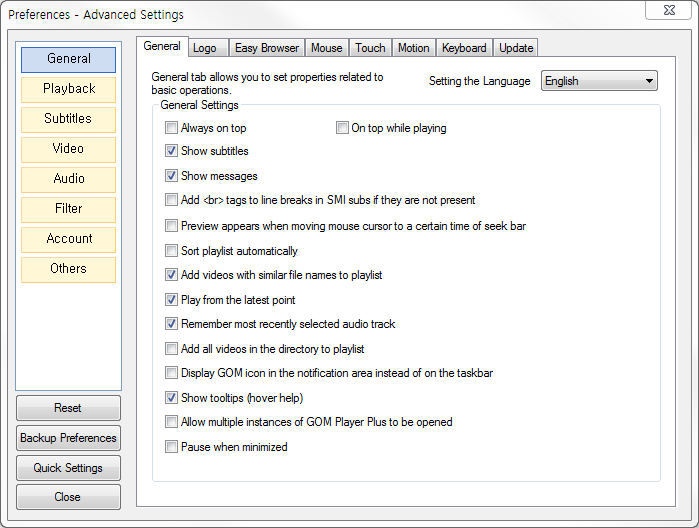 All in all, GOM Player is a great free media player. 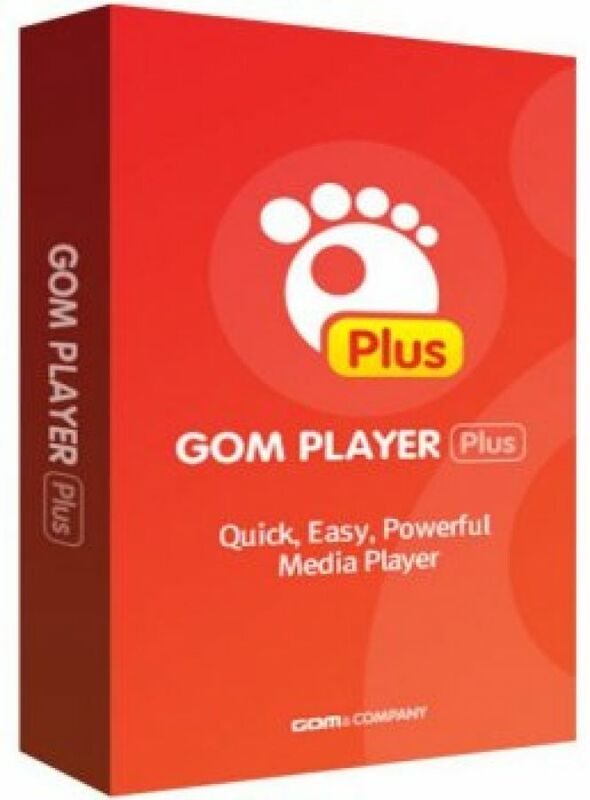 It also has a paid version - GOM PLayer Plus. The paid version provides higher quality performance, has no built-in advertising, and give you priority in technical support, GOM events, and promotions. It can be downloaded from the developers' site or renewed from within the free application. So, check out this free download of GOM Player 2 and see how much this player has to offer. Limits: Ads and no priority in tech support.